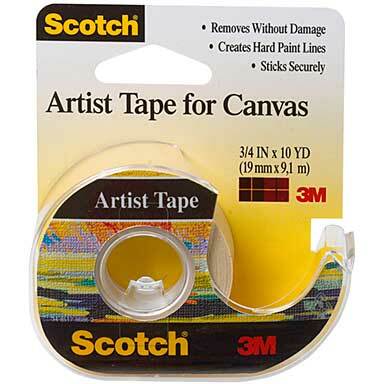 3M-Scotch Artist Tape For Canvas. This is professional quality artist tape. This tape yields hard paint lines because it bonds firmly yet removes easily and leaves no residue behind. This package contains one 3/4inch x10yard roll of tape. Conforms to ASTM D 4236.